2016 is just about over, and, looking back, it’s clear that the taxonomists of the world have been quite busy. 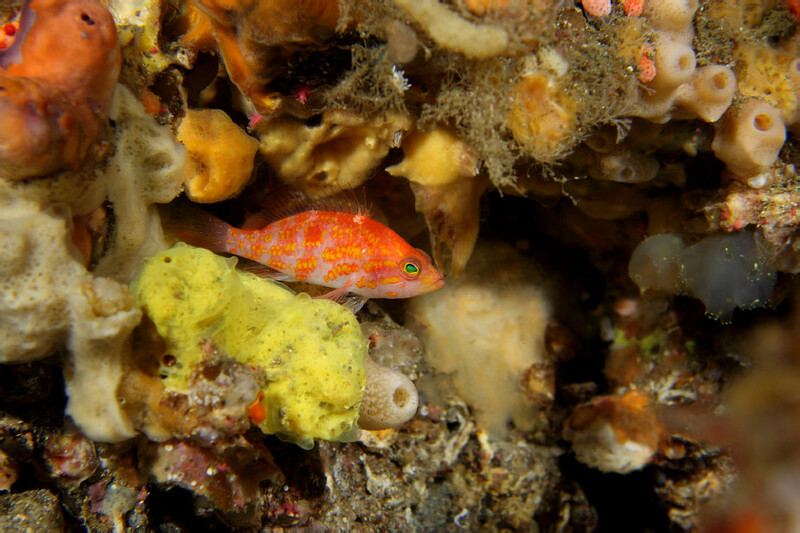 New species of coral reef fish seemed to appear on a weekly basis. Gobies, in particular, had a banner year, with an incredible fifteen (15!) 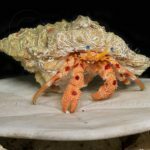 new taxa recognized in Eviota alone! Mesophotic reefs continued to reveal their piscine treasures, with some of the most beautiful discoveries coming from the briny depths. While I’d love to recap every new species, we’ll instead stick to the ten I found most interesting. 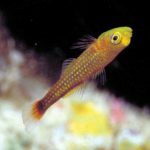 #10 Godzilla Goby (Varicus lacerta) https://youtu.be/UvxJEi-vER0 The itty bitty gobies of the genus Varicus were little-known until this year, when researchers from the Smithsonian overhauled the genus during their exploration of deep Caribbean reefs. While some species were eventually moved to other genera, a half-dozen newly discovered taxa joined its ranks. The highlight was a reclusive fish, given the evocative name Godzilla Goby, which was recovered from the inside of a vase sponge at the bone-crushing depth of 130 meters. What’s great about this discovery was that the initial collection was captured on video thanks to the Curasub. 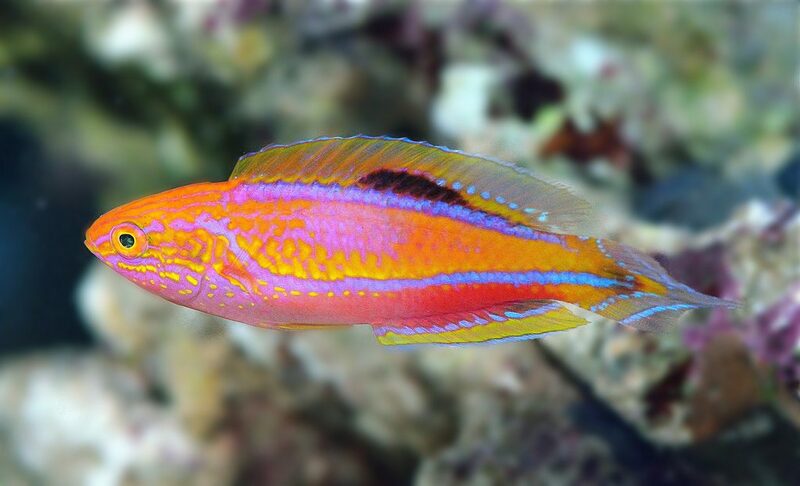 This was a bit of a slow year for one of the most diverse of wrasse genera, Halichoeres, but we were treated to an outstanding new representative from the island of Mauritius. 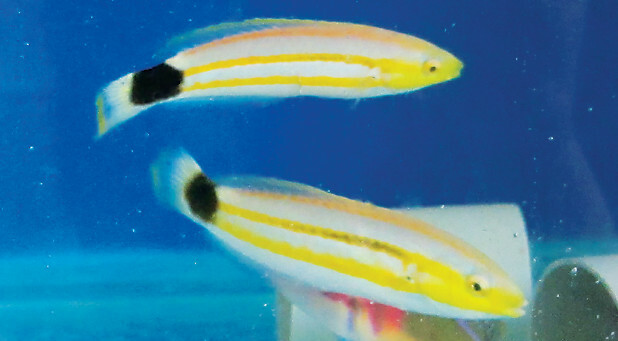 Gurroby’s Goby, named for the aquarium collectors at Ornamental Fish World, Ltd, is a lovely fish, adorned with yellow stripes running the length of the body and a prominent black marking on the caudal peduncle. Images are still scant, especially of the adult male, but its habitat in the shallow waters of Mauritius means that this enigmatic wrasse is likely to at least occasionally make it’s way into the aquarium trade. Hopefully, with increased collection, aquarists can help contribute to our knowledge of this species by documenting its colors in captivity. Alfian’s Flasherwrasse, Paracheilinus alfiani – original video from BlennyWatcher.com. Short sequences of P. alfiani shot off Lembata, Indonesia. Hybrids are also visible in the video. A monumental revision of the flasherwrasse genus Paracheilinus came out early this year, and in it three new species were welcomed into the world. Two of these, P. paineorum and P. xanthocirritus, represent newly recognized members of the P. filamentosus species group, with ranges in separate portions of the Coral Triangle. The third was a gorgeous fish will a large sail-like dorsal fin and a rounded caudal fin, described as P. alfiani. But, as I opined in these very pages, this alleged species is questionable at best, as little differentiates it, either genetically or morphologically, from the nearly identical P. rennyae, a fish which occurs in nearly the same corner of Indonesia. Hopefully additional specimens and observations will lend clarity to this… and hopefully someone starts collecting this incredible species for the aquarium trade. This stunning fish, with its retro 1980’s inspired color palette, might be the most visually spectacular find of this past year. 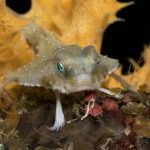 Collected by renowned mesophotic researcher Brian Greene from the ridiculous depth of 500 feet, this is one fish which is unlikely to make its way into aquariums any time soon. This gorgeous new perchlet just made it onto our list, as it was described only this past week, along with some equally lovely basslets from the Atlantic that were every bit as deserving of a place in the top ten. The Hinomaru Perchlet is a Japanese endemic, reported from just one location at a busy dive site in the subtropical waters of Japan. It lives in depths around 50 meters, and, sadly, is unlikely to be collected for the aquarium trade. It does, however, have an apparent sister species, still undescribed, luring in the depths of the Coral Triangle. 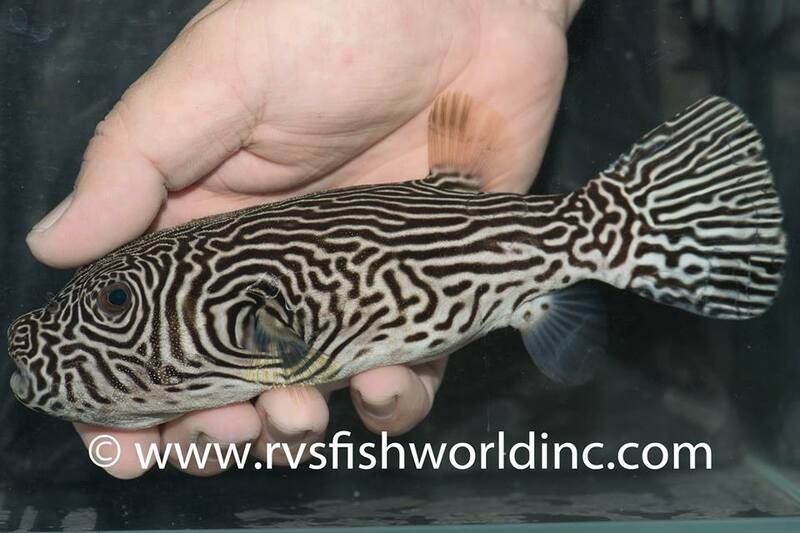 It came as quite a surprise to see a large, ornately patterned pufferfish described as new to science, but this is exactly the case with Arothron multilineatus. 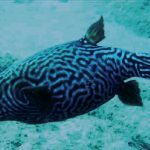 The wavy lines of this incredible fish are unmistakable, but the rarity with which this species is sighted calls into question its legitimacy. Just a handful of specimens have been reported from across the Indo-Pacific, each differing in subtle ways from the others. A few short months after it was described, the apparent first aquarium specimen was collected in the Philippines by RVS Fishworld, originating from a fairly mundane coral reef habitat in shallow waters. When the facts of this fish are taken together, it seems most likely that it is nothing more than a rare hybrid, but this will ultimately require genetic and morphological confirmation. 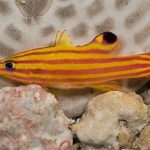 Greenwich Aquarium has done more to advance our knowledge of the pencil wrasse genus Pseudojuloides than just about anyone out there, and their newest discovery was an African species so different from anything else that it forms its own distinct branch in the group’s evolutionary history. The novelty of this find can’t be overstated, as it’s akin to stumbling upon an entirely new species group of fairy wrasse or dwarf angelfish. Discoveries like these are few and far between. Aquarist TJ Engels, who successfully raised a female specimen into a terminal male, has suggested some interesting common names for this fish—Maze Wrasse, Minotaur Wrasse, Daedalus Wrasse, David Bowie Wrasse… all playing on the scientific name, which alludes to the labyrinthine facial markings—but the jury is still out on which name this fish will ultimately go by. My vote is for David Bowie Wrasse, if only because Young Americans is the greatest album of all time (fact). This deepwater Hawaiian endemic has been known for decades, but it took longer than anyone could have expected to finally be named. I recounted these trials and travails in some detail previously, and it’s worth a read to appreciate just how daunting the field of taxonomy can be at times. Though it’s been collected for aquarists every now and then, this is one of the rarest butterflyfishes you’re likely to find in captivity, and also one of the most attractively patterned. Described by our own LemonTYK as part of his ongoing ichthyological studies, this stunning dragonet has been a hugely popular addition to the aquarium world since it first began appearing a few short years ago. With a formal description, we now have a better understanding of where this fish occurs (the Sulu Archipelago of the Philippines) and its ecology (moderately deep rubble). There are still a few more undescribed dragonets closely related to S. sycorax yet awaiting description, so expect more to come in the coming years. 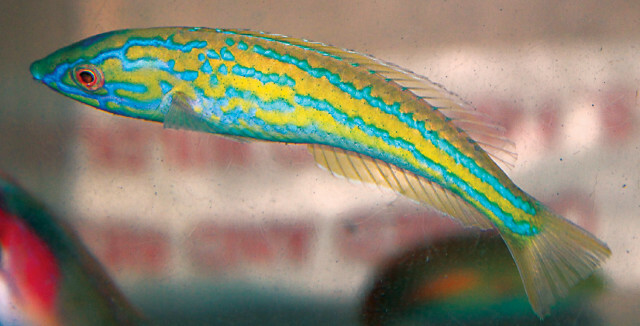 Topping our list this year is one of the more beautiful members of the fairy wrasse genus Cirrhilabrus. 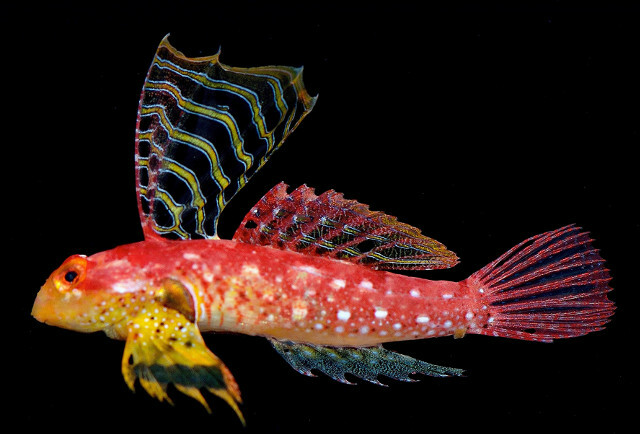 This gaudy fish has been well-documented by Japanese divers, but only recently has it begun appearing in sizable numbers in the aquarium trade thanks to the efforts of collectors in the Philippines. Up until its formal description, it had long been known under the name C. cf lanceolatus, due to similarities in the shape of the tail fin with the rarely seen C. lanceolatus of Japan, but, as Lemon and I first detailed in our review of this genus, this fish is actually far more closely related to Cirrhilabrus lunatus. These two share several nuances of their male nuptial patterns, particularly the presence of a pinkish “epaulette” along the back. It’s great to see a proper binomial bestowed upon this fish, and I can’t wait to see what new wrasses will be revealed in the coming year. With perhaps three or four new species of Cirrhilabrus soon to be described, 2017 is shaping up to be full of excitement.